The procurement policy board, which makes the contracting rules for the City of New York, recently adopted rules that will make it easier for the City to manage how it purchases goods and services. The most important rule in terms of large purchases will allow the City to award competitively-bid contracts for goods and services based on price plus previously announced best value considerations. Before, contracts for goods and services had to be awarded solely on price. The second rule affects small purchases. The new rule ups the dollar limitation for micro purchases from $5,000 to $20,000, which will ease the City’s burdens when making small dollar purchases. The third change is actually a series of changes all designed to speed up the huge volume of human service contracts entered into by the City. The State’s General Municipal Law requires the City to use competitive bidding for purchases, but grandfathered other lawful methods of procurement which were in existence as of September 1, 1953. New York City had such a special bypass provision in the old city charter which predated September 1, 1953. The bypass provision allowed the board of estimate to bypass the lowest responsible bidder “in the interests of the City.” The board used that authority for several purposes including enforcing the Sullivan Principles calling for a boycott of companies doing business in Apartheid South Africa. Low bidders who were otherwise responsive and responsible could be bypassed by a vote of the board of estimate which was then made up of the three citywide officials and the five borough presidents. The board of estimate was abolished as a result of the 1988 Supreme Court’s voting rights opinion and the resulting recommendation of the 1989 charter revision commission. The charter commission shifted the City’s authority to make contracts to the mayor. The shift followed the principle that contracting under the new charter was to be entirely an executive function for which the mayor should be solely accountable. Following the adoption of the 1989 charter the City took the position that the pre-September 1, 1953 bypass authority had passed unchanged to the mayor, a position that seemed sound until the issue reached the New York Court of Appeals in 1998. In Diamond Asphalt Corp. v. Sander, 92N.Y.S.2d 244 (1998), the Court ruled that the City Charter’s provision “in the interests of the city” no longer met the pre-September 1, 1953 requirement. The Court ruled that the abolition of the board of estimate and the transfer of bypass authority to the mayor was a substantive reallocation of power and not a mere revision or restatement as the City had argued. The City, the Court ruled, could no longer rely on old charter’s pre-1953 provision and would need a new authorization from the legislature if it were to once again have bypass authority. Without bypass authority a municipality lacks the power to bypass the lowest responsible and responsive bidder no matter how sensible or desirable that might be. The Court of Appeals made that clear to another municipal government in a recent opinion. In AAA Carting & Rubbish Removal, Inc. v. Town of Southeast, 17 N.Y.3d 136 (2011), the Town of Southeast received several bids for waste removal. After visiting the low bidder and the next highest bidder, the Town Council voted to bypass the low bidder. In bypassing the low bidder, the Town considered management, cleanliness, professionalism, a safety program involving drug and alcohol testing, uniformed work force, accident investigations, unionization, and the availability of spare vehicles. Rational those these factors might be, the Town at the time lacked authority to consider them after the bids had been opened. The Town’s only option, the Court ruled, was to accept the low bid, or rebid and add the additional requirements to the offering. In 2011 the State Legislature amended the General Municipal Law to permit a modified bypass authority for the purchase of goods or services. Excluded from the amendment were construction contracts for public work projects. Under the 2011 amendment the City may select a responsive and responsible bidder who represents the “best value” to the City. Best value is generally defined by the statute to be the vendor offering the best combination of quality, cost and efficiency. The procurement policy board adopted rules effective on July 1, 2013 to implement the best value provision. In determining best value, the agency may only consider bids that are within ten percent of the low bid, unless authorized by the City’s Chief Contracting Officer to consider a bid greater than the low bid by an even larger percentage. In addition, in order to take advantage of the best value provision, the City must announce its intention to do so in the offering. The rules also list examples of factors that the City may take into account in deciding best value. Among the factors are specific features of the product or the service being purchased, warranties or maintenance capabilities, references, reliability, past experience, staffing and financial capability. These factors are similar to the factors that the City might consider in a Request for Proposals (RFP). The option of an RFP remains open to the City, of course, but now these same factors may be utilized for competitively bid purchases as well. The first New York City agency to take advantage of the best value option will be the City’s Department of Environmental Protection. On December 17, 2013, DEP offered a contract for co-generation generators and gas exhaust system treatment equipment to be installed at the North River Sewage Treatment Plant in Manhattan. The generators will be run partially on gas generated by the plant itself. The estimated cost of the project is $11 to $13 million. DEP’s solicitation states that bids within 20 percent of the low responsive bid will be evaluated and considered for award based on best value. The solicitation lists a number of factors it will consider when making the best value determination. These include the life cycle cost of the equipment, the experience of the bidder, emissions from the system, fuel requirements, heat recovery, performance parameters, and the bidder’s maintenance plan and supply arrangements. The solicitation includes a lengthy questionnaire to be filled in by the bidder that addresses the evaluation criteria. The questionnaire asks for substantial information such as the names of supply sources and a description of maintenance experience. Bids are due January 28, 2014. DEP intends to have the equipment up and running by fiscal year 2016. New York City in the fiscal year ending June 30, 2013 entered into human services contracts valued at more than $3 billion. More than 1,600 human services vendors provide mental health counseling, workforce training, foster care, after school programming, and other services for senior centers, shelters and housing. The City counts up to 220 separate client services programs which are managed by eleven different City agencies. The HHS Accelerator is the name given to a new process designed to ease the contracting burden to the service providers and to more efficiently provide services to the clients in need. The major element of the HHS Accelerator is a new mayoral office under the Deputy Mayor for Health and Human Services with the mission of providing a one-stop prequalification process for human service providers. The office will supervise a system to pre-qualify human services vendors. All City agencies will then use the pre-qualified list for solicitations. The office of the Accelerator will make the pre-qualification decisions and maintain the list. The list is organized by type of service offered by the vendor. Offerings from all eleven agencies will be made by the Accelerator, but the actual decision awarding a specific contract will remain with the individual City agency. Pre-qualification may occur even after a solicitation has been issued, but only bidders who are on the qualified list will be able to bid. The Accelerator system began prequalifying vendors in March 2013. By December 2013, approximately 500 vendors have prequalified. The first solicitations through the Accelerator were listed on October 31, 2013. The first two Requests for Proposals involved employment services for homeless men and mediation services for families in lieu of judicial proceedings. Vendors offering the type of services receive an email notification that the solicitation has been posted to the HHS Accelerator website. As part of the Accelerator project, the City has also adopted a master services agreement known as the Standard Human Services Contract, and a web-based document repository that will allow service providers to file documents only once. The documents will then be available to other agencies, thus eliminating multiple agency requests for the same documents. Eleven City agencies are part of the Accelerator project: Administration for Children’s Services, Aging, Corrections, Health, Homeless Services, Probation, Small Business Services, Youth and Community Development, Housing, HRA and the Criminal Justice Coordinator. The most frequently used procurement method is the micropurchase, defined as purchases of $5,000 or less. In fiscal year 2013, of all purchases City purchases, 56 percent (22,599) were micropurchases. This huge volume of activity only accounted only $37 million of City spending, a mere 0.23 percent of the overall dollar volume of City purchases. Micropurchases require no competition, although the agency must document the purchase and ensure that the price is reasonable and that agency purchases have been distributed appropriately among responsible vendors. Under the old rule, small purchases above $5,000 and under $100,000 required limited competition with at least five vendors being solicited. The City opted to ease the burden of managing so many small dollar purchases. As of July 15, 2013, the dollar limit of a micropurchase was raised from $5,000 to $20,000. This increase in the micropurchase limits will free agencies from the competition requirement and allow agency personnel to spend more time dealing with larger purchases. Small Purchases defined now as those above $20,000 and under $100,000 continue to require the minimum competition requirements. For small purchases, agencies must solicit at least five vendors and are required to maintain more substantial record keeping. 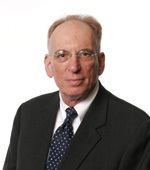 Ross Sandler, Editor of CityLaw, is a member of the procurement policy Board.